Ivan Hernandez | Fly High! Having the opportunity to see Brian Solis presenting live at LeWeb Paris 2013 is most definitely one of the highlights of my career. I have been a huge fan of Brian’s work for many years. As you can see, I have shared in this blog many posts and videos of Brian; I regularly read his fantastic blog plus I have read all his books. Actually, I made his book Engage!, Revised and Updated: The Complete Guide for Brands and Businesses to Build, Cultivate, and Measure Success in the New Web (Amazon affiliate link) as mandatory reading to my students when I was a Lecturer at Kozminski University a few years ago. 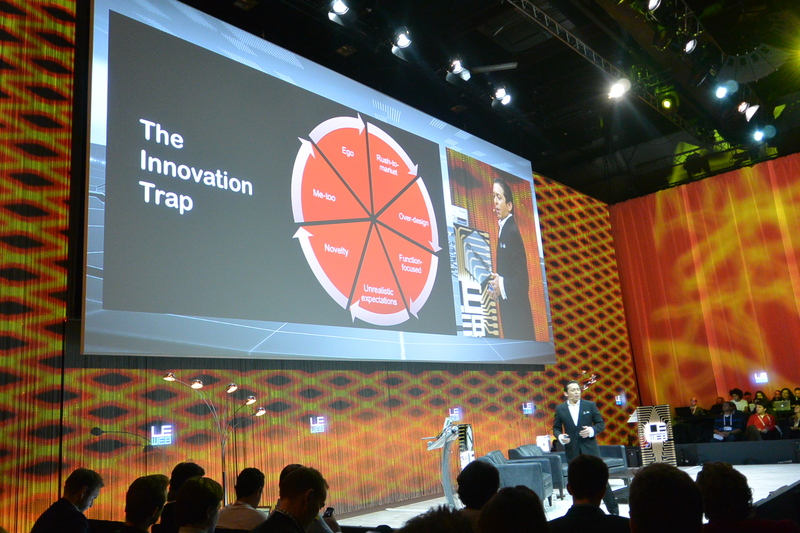 At LeWeb, Brian Solis gave an outstanding presentation on why the future of innovation is disruption. In it he explored the elements of innovation and how ideas and passion convert intro disruption. Brian Solis – The future of innovation is disruption: Moving from the innovators dilemma to become the dilemma’s innovator. 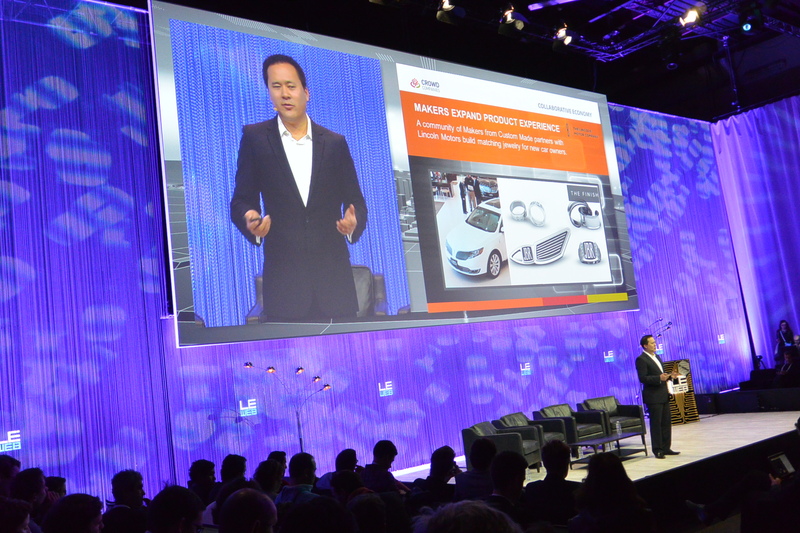 Jeremiah Owyang, Chief Catalyst and Founder of Crowd Companies, took the stage at LeWeb Paris 2013, to launch his new venture which focuses on how large companies tap the collaborative economy, maker movement, and customer collaboration. In his presentation, Jeremiah shared how big companies are already partnering with startups and empowered people to birth new business models that the world is just beginning to recognize, and hear a radical vision of the evolution of business that will happen within the next ten years. Please find below Jeremiah’s slides. 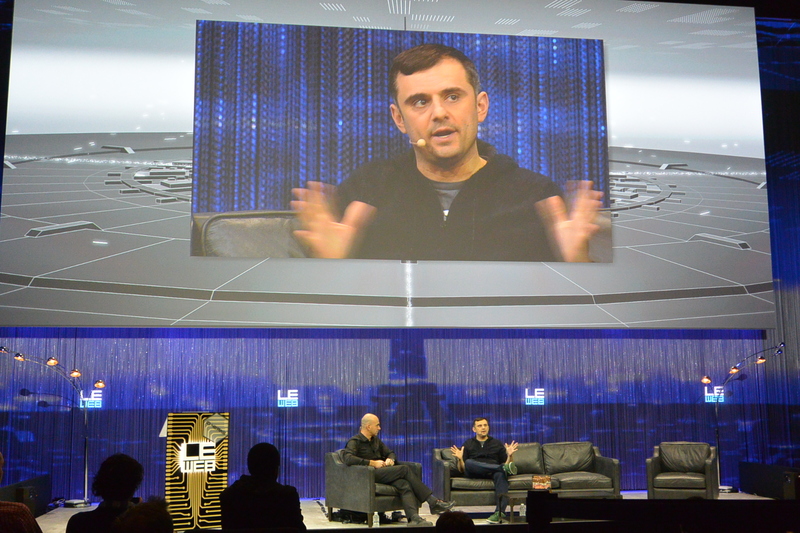 If you have been following my blog for the past few years, you will know that I am a big fan of Gary Vaynerchuk, so to have the opportunity to experience him speaking live at LeWeb, has been a great experience for me. 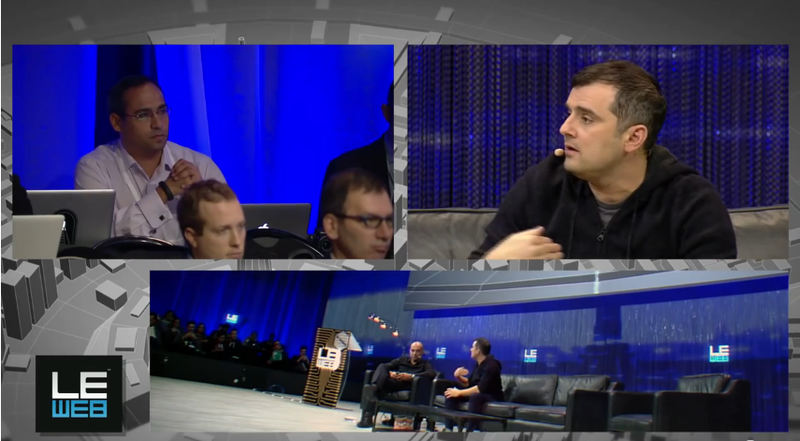 At LeWeb Paris 2013, Gary had an awesome Q&A session with Loic Le Meur. This session was excellent, full of Gary’s insights and ideas on what it takes to be successful in social media. By the way, at the 49:30 mins mark, I had the opportunity to ask Gary a question on how he has managed his company’s impressive growth (from 20 to 300 employees in 24 months), so make sure you stay until the end of the session to find his answer. By the way, I strongly recommend you to get his new book Jab, Jab, Jab, Right Hook: How to Tell Your Story in a Noisy Social World (Amazon affiliate link), in which he shares a blueprint to social media marketing strategies that really works with over 80 social media content case studies. Brilliant stuff! Anthony Tjan, CEO and Managing Partner at Cueball, is a serial entrepreneur turned VC and New York Times best-selling author. At LeWeb Paris 2013, Anthony delivered an excellent presentation in which he shared the latest findings from his on-going research based on 25,000 plus business-builders from around the globe and help explain why it is self-awareness and a handful of traits that can help explain what drives entrepreneurial success. Every entrepreneur and business-builder posses every one of these four traits, thought the mix varies from person to person. Watch his presentation to better understand the impact of this traits for your career. Anthony Tjan – Wayfinding for the Entrepreneur. What is the “DNA” that drives entrepreneurship? 2. Get his excellent book Heart, Smarts, Guts, and Luck: What It Takes to Be an Entrepreneur and Build a Great Business (Amazon affiliate link). From December 10th to December 13th, thousands of people gathered in Paris to celebrate the 10th Anniversary of LeWeb, the most talked-about international conference for startups and web entrepreneurs. I had the privilege of being invited as an Official Blogger of the event and be part of the LeWeb community, helping spread the word and transmit to the world the highlights of the event. 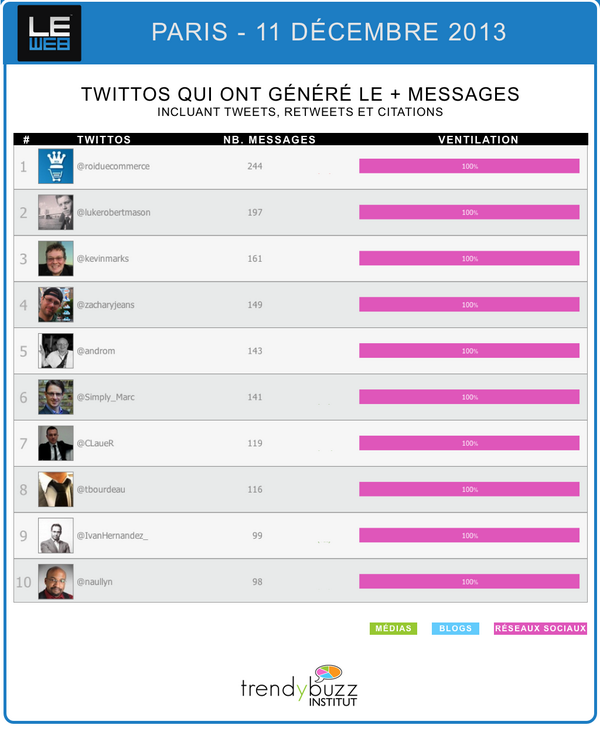 Actually, on day two I found out that I was at the top 10 of generated tweets (including tweets, RTs and mentions). This made me very happy as it showed that people liked what I was sharing. So, now that the event is over, I will move from focusing on reporting the event live to gradually continue to share some of the most important presentations. These are not necessarily “my favorite ones”, but the ones that I believe are extremely relevant and that you should definitely check out. I can assure you that wether you are a young entrepreneur or an experienced executive in a Fortune 500 company, you will get valuable insights, knowledge and inspiration from them. I will be sharing with you the presentations of amazing people such as Brian Solis, Jeremiah Owyang, Gary Vaynerchuk (including a brief but very cool interaction with me), Ramon De Leon, Fred Wilson, Carmine Gallo and many more. Additionally, I will share with you a Special Edition of The Digital Loop, recorded directly from Paris with my good friend and partner in crime, Paul Papadimitriou (who by the way did a phenomenal job co-hosting the event! ), as well as interviews with some of the speakers. So, stay tuned and keep coming back, because although the LeWeb Paris 2013 conference is already over, you will be able to continue getting valuable information and inspiration right here. H.U.G.E. news today: I have been invited to be an Official Blogger at LeWeb Paris 2013! For many years I have been religiously following the event, which is considered as the most important international conference for startups and web entrepreneurs. For the past couple years, I have shared in this blog some great presentations from the previous editions in both London and Paris. 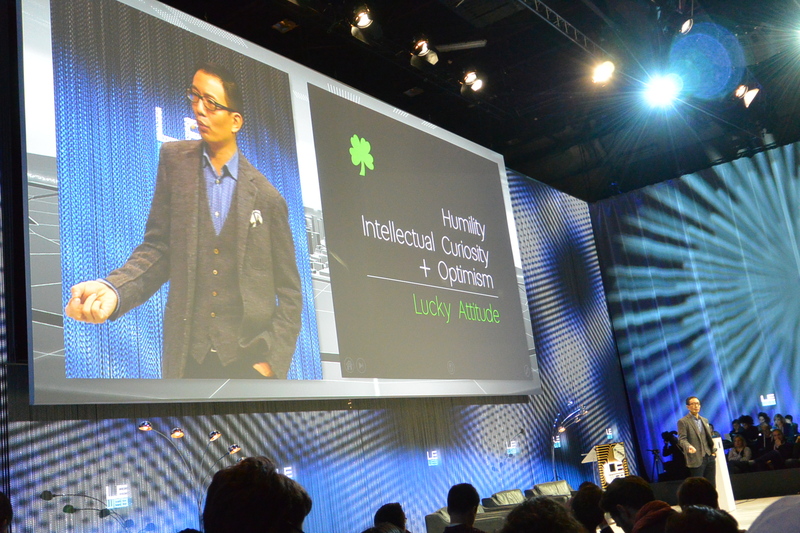 I even had one of the highlights of my year when I had the great pleasure of having Jeremiah Owyang as our guest for The Digital Loop, just minutes after he just finished his keynote presentation at LeWeb London 2013. And today, it means a lot to me that this time I will have the opportunity to take part in this amazing experience live in Paris. The speakers’ line up this year is amazing, including outstanding visionaries and thought-leaders such as Guy Kawasaki, Brian Solis, Gary Vaynerchuk, Phil Libin, and many many more, including once again Jeremiah Owyang, as well my good friend (and partner in crime at The Digital Loop) Paul Papadimitriou. So, if you are planning to attend this year’s event, I am really looking forward to seeing you there!